Thanksgiving is just around the corner – do you have your turkey and all the fixings for your Thanksgiving dinner ready to go? 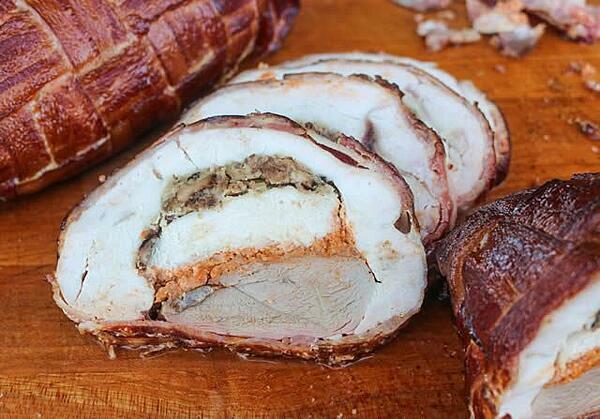 Better yet, do you know what your turkey has been through to make it to your dinner table!? Retailers and distributors sure do. They understand the high-demands of the holiday season better than anyone else. It's becoming increasingly important to respond to these demands with technology that helps to prevent foodborne illness, reduce product loss, and ultimately, keep customers happy. 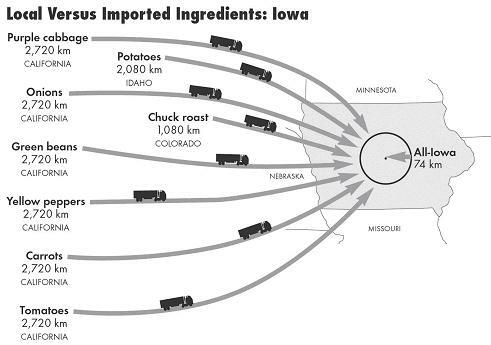 So whether consumers plan to eat a standard turkey dinner, prefer to eat vegetarian, or will make an attempt at cooking the turducken, at least some of the food required to complete your meal is sourced from another state. Let's take a bird's eye view of the process to understand the complexities of the turkey supply chain. The world is now a connected place. Ingredients that make up Thanksgiving meals will be delivered from all over the country from farm to (your) fork. This is by no means a simple task – sophisticated logistics from farms to retailers are required to ensure that families around the country have their turkey ready for their Thanksgiving feast. This widespread phenomenon of intense turkey gobbling has steep ramifications for the supply chain. In order to understand its impact and potential sources of foodborne illness, we must explore the journey most food (including turkeys) endures to be part of a Thanksgiving feast. Arguably the most under-appreciated aspect of the food supply chain, the farmer has an incredibly important role that dates back to 9500 BC of feeding its nation. Despite significant changes in agriculture methods and supplemental technology, the farmer’s duties have been largely unchanged in providing a means for society to eat. 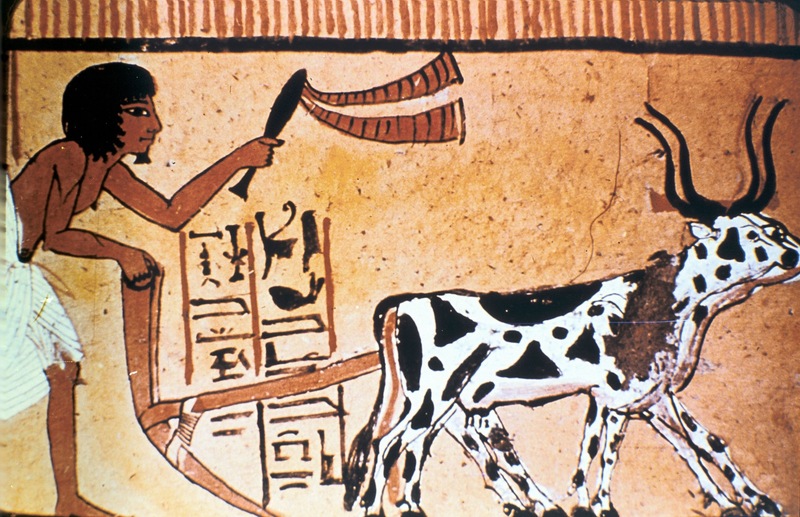 Depiction of ancient Egyptian ploughing methods. There are two areas of concern as it relates to food safety for farmers: the use of chemicals (fertilizers, antibiotics, and pesticides) and animal husbandry (the raising of livestock), both of which can contribute to foodborne illness. Unsafe chemicals used in farming can maintain their hazardous properties throughout the supply chain, making their way onto our plate and causing illness. The FDA has done significant work to prevent the misuse of these dangerous chemicals, which has prevented sicknesses from these fertilizers, antibiotics, and pesticides. Improper animal husbandry, such as unsanitary housing conditions, can also cause nasty diseases in animals, which can lead to further illness. Turkeys are typically ready for processing after a few months, which means farmers need to prepare their rafter (the word that describes a group of turkeys) well in advance of Thanksgiving. Eliminating the use of unsafe chemicals and ensuring safe animal husbandry practices is essential in preventing foodborne illness. After the turkeys have been raised by farmers, they are ready to be processed, which includes harvesting, slaughtering, cutting, cleaning, and packaging. This essential but gruesome process has many contamination points because of the somewhat repulsive steps that are necessary to prepare the turkey for the next stage of the supply chain. Regulations such as Hazard Analysis Critical Control Point (HACCP) have helped to establish what is deemed as a “critical control point.” These points identify where food safety can breakdown, leading to potential foodborne illness. As outlined above, the increase in turkey consumption can put immense stress on these control points, which can cause a lapse in food safety. By combining the regulatory requirements outlined by HACCP with Ensuring Good Manufacturing Practice (GMP), processors can help ensure food safety throughout the supply chain. GMP is a methodology meant to ensure that standard operating procedures (SOPs) are being met. Without SOPs that outline how turkey slaughter should be handled, slaughterhouse workers may make a simple mistake that greatly increases the chance of disease. Once the turkeys have been prepared for shipment, they are transported around the country to be made available for purchase. The shipper has a vital role in preventing foodborne illness. The Food Safety Modernization Act (FSMA) outlines in very plain terms requirements for food safety practices during manufacturing and transport. Put simply, FSMA shifted food safety to be proactive, required additional documentation of food safety standards, and gave the FDA increased regulatory control over food transporters. Fun Fact: In the United States, food now travels between 1,500 and 2,500 miles from farm to table, as much as 25 percent farther than two decades ago. By implementing digital food safety, suppliers can gain visibility into the cold chain and verify whether or not product has been exposed to compromising temperatures. Automated monitoring technology can record temperatures throughout shipment, providing regulators and shippers alike confidence that their perishable food is being monitored for temperature excursions. After a long journey (likely originating in Minnesota), turkeys need to be sold through retailers in order to make it to the dinner table. The fact that most customers purchase from a grocery store is obvious, but must not be overlooked. Retailers have the unique opportunity and responsibility of interfacing directly with the consumer. They are the last line of defense in foodborne illness, and need to take precautions to safeguard their product to prevent customers from getting sick. The seller is primarily focused on keeping the perishable foods at the proper holding temperature. Food that rises to the 'danger zone' (the temperature range in which food-borne bacteria can grow, roughly 41 to 140 °F) has a good chance of being infiltrated by dangerous bacteria, which again highlights the importance of implementing proactive food safety measures. With nearly 88% of Americans planning to eat turkey for Thanksgiving, it's incredibly important that the entire turkey supply chain is monitored. Without remote monitoring solutions in place, identifying temperature excursions is a guessing game. Between ensuring compliance and keeping customers free of foodborne illness, the importance of tracking your turkey cannot be understated. Retailers have an obligation to keep their customers safe. By adopting advances in technology and implementing robust food safety practices, grocers and foodservice professionals can confidently say that their turkey is ready for its debut at Thanksgiving feasts around the country.